We're back y'all!! 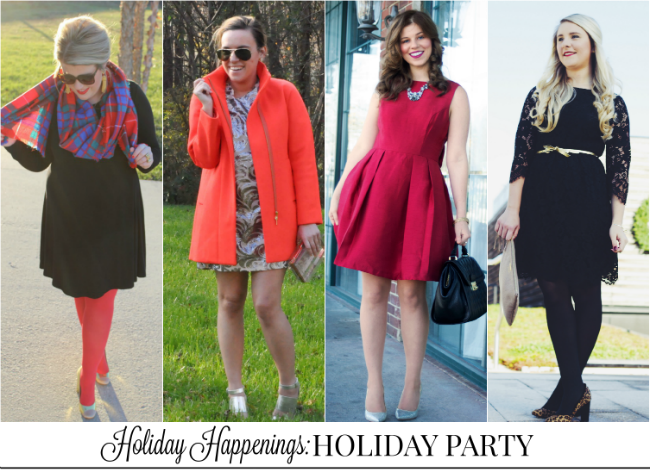 Last week myself, Julie, Emily and Laura shared with y'all our own takes on holiday gift exchange looks. Now we're back with the second of three posts, featuring our favorite outfits for Christmas parties. Whether you're attending an office holiday party, Christmas dinner or cocktail party, any of these looks would be perfect. Make sure you visit Julie, Emily and Laura's blog too, to see their entire look + outfit details! When it came to picking out the perfect dress for my upcoming office Christmas party, I wanted to choose something that was work appropriate, but still fun. Sometimes sparkle and glitz can be a little too much for the office, so I opted for lace. Still a fun detail, yet more subdued for work. Of course I found my ideal dress at LOFT. Let me tell y'all... I love this dress! It's extremely comfortable and fits like a glove. I love how the lace detail was carried through to the sleeves as well. The long sleeves make for a more appropriate office dress, and it allows me to go sans blazer or cardigan. Great for when the office building decides to crank up the heat, ha! 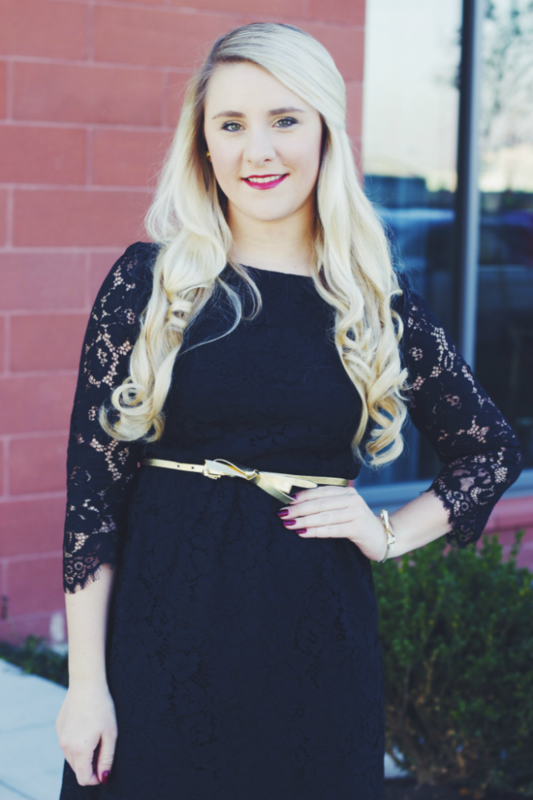 I paired the dress with a fun bow belt for the holidays, a pop of red on my lips and a fun cheetah print heel. If you think the pattern mixing is too extreme for the office, a simple black pump or bootie would work just fine. I can't wait to wear this look next week! Tell me which holiday party you're looking most forward to in the comments below! Maybe this dress would be perfect! I've had this dress in my cart for weeks but didn't know how it would fit in "real life"- love it on you and how you styled it! Thank you!!! It fits so well and I love the sleeves! Hope you end up getting it!! You all look so spectacular, but especially you, K! And I think those leopard pumps jazz up your choice even more, and certainly would be appropriate for office wear. Thank you!! It was so much fun putting this outfit together!! I love a great lace dress... this one is perfect! Thanks Alissa!! Me too :) I can't stop wearing it, ha! Wow! This is such a beautiful outfit for the holiday bash. I am in love with your pictures. At the local corporate events NYC I also attended a Christmas bash that was hosted by one of our business vendors. I rocked the Christmas look with my DIY dress. It was just looking perfect.